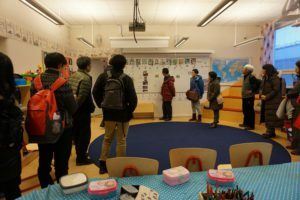 Sweden has a long and unique history of afterschool care for children 6-12 years of age. In 1978 the first University program started in Sweden for teachers at school-age educare. In 2016 leisure-time centers were included in the Swedish school curriculum. Today about 90% of all children 6-9 years attend these centers. This entry was posted in News on February 8, 2018 by . During 2017 SQC lounged courses in Soft Tissue Massage in Japan under the name Haptic Therapy. The therapy method is based on Med. Doctor Berit Cronfalk´s research and her thesis for her doctorate “Being In Safe Hands”. SQC has centers in Tokyo and Osaka providing the program on regular bases. 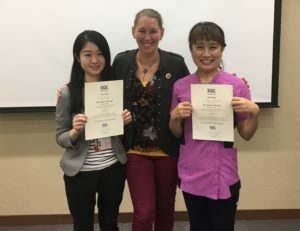 Maria Bergström who is a Haptic Therapy instructor visited Japan 2 times in 2017 to give lectures and workshops. In April 2018 Maria will again provide workshops in Tokyo, Osaka and Oita. SQC also includes Haptic Therapy workshops in many of our study programs in Sweden. Do not hesitate to contact us if you are interested in a workshop. This entry was posted in Healthcare, News, Uncategorized on February 8, 2018 by . In early September a group of students from Hosei University visited Sweden for a one week long study program. The program included visits to elderly-, child- and disability care facilities. In addition to studying the Swedish welfare system the Japanese group had many opportunities to meet and interact with Swedish university students. 3 Month before the group arrived in Sweden Emil Östberg from SQC gave a introductory lecture for the students at the Japanese University . During the first 6 Month of this year Emil Östberg from SQC visited Japan 3 times in order to give lectures and seminars at different Institutions and Universities . In total it turned out to be 25 seminars for more then 2000 persons. Lectures were given in Yamagata, Nigata, Tokyo, Nagoya, Osaka, Kobe and Tokushima. Most seminars were related to elderly and Dementia care, but there were also a number of lectures focusing on Swedish welfare for persons with severe disabilities. Next trip to Japan is planned to be in the Spring of 2016. Do not hesitate to contact SQC if you would be interested in a lecture. This entry was posted in News on July 2, 2015 by .